“I don’t need to tell you Mr. Speaker that zombies don’t recognize borders and that a zombie invasion in the United States can easily turn into a continent-wide pandemic if it is not contained,” Martin said. 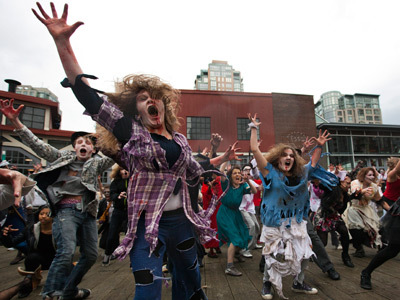 But Martin’s question was not as random as it first seemed – it referenced a recent news report that the public security department of the francophone Canadian province of Quebec used a hypothetical zombie scenario for a disaster-planning exercise. 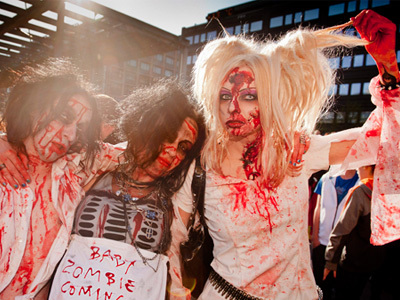 "When we're talking about zombies, we're talking about a training concept," Denis Landry, director of disaster recovery for Quebec’s civil security department told the Canadian Press. The idea was that an invasion of the living dead would simulate a real-life catastrophic event, preparing participants for anything. 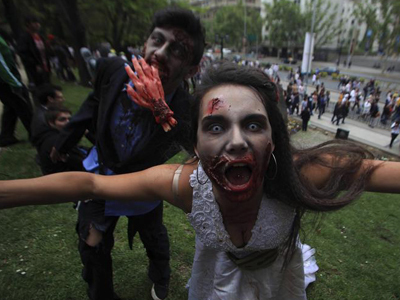 "If you are generally well equipped to deal with a zombie apocalypse you will be prepared for a hurricane, pandemic, earthquake, or terrorist attack," program director Dr. Ali Khan told the Daily Brew. 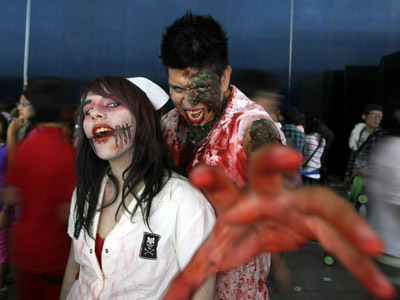 But in the summer of 2012, the CDC released a statement reminding readers that “zombies are not real,” following online rumors and panic that a zombie apocalypse was brewing following a string of disturbing cannibalism incidents in the US. 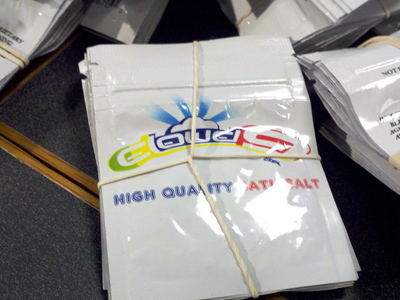 "CDC does not know of a virus or condition that would reanimate the dead (or one that would present zombie-like symptoms)," CDC spokesperson David Daigle wrote in an email to the Huffington Post. 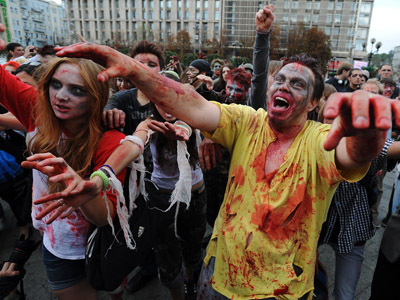 Still, almost every US state has adopted zombie-modeled exercises because it forces people to think outside the box, Landry argued: "It's essentially designed to prepare authorities for any kind of disaster, right up to pandemics." 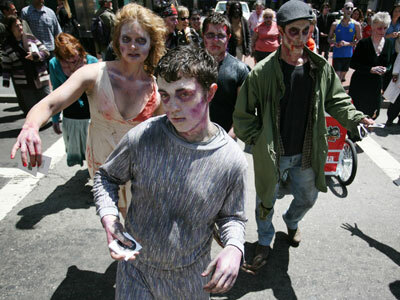 Even the US Department of Homeland Security held a zombie-themed exercise last September to encourage better readiness for real disasters.